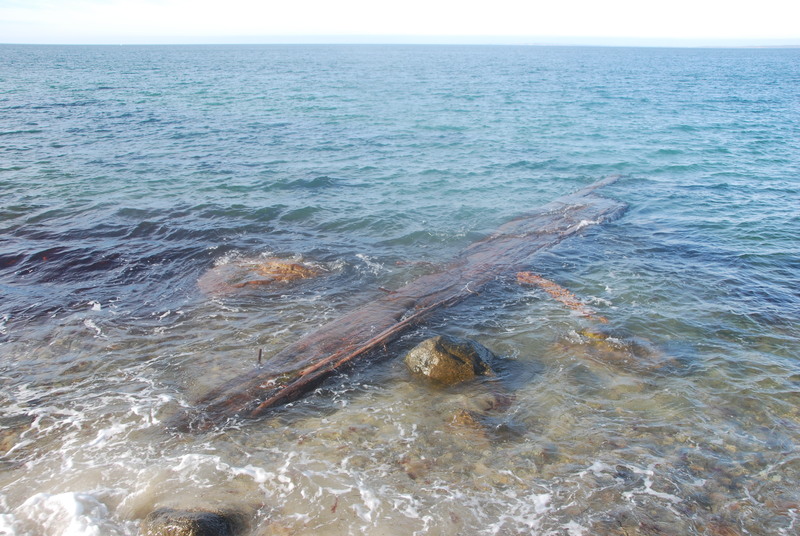 "The mystery photo to me looks like part of a large wooden barge that was washed up on the the North Shore just Southwest of the tip of Cape Higgon. Then, I think Hurricane Bob broke it into pieces and scattered them down the North Shore. I remember when I was younger I used to paddle down there with my kayak -- it was like a cave because the end was torn off and you could go right inside at low tide. That's my guess at what that is." Thursday , Dec 8, 6:30 p.m. at the Oak Bluffs Library. Michael Wooley presents images, films, and art from the underwater world. For all ages. Free. For details, call 508-693-9433. Farmers in Training: Sign-up Now! Fridays at the FARM Institute, Edgartown. The F.I.T. Program at the FARM Institute is for kids ten and up, with or without prior experience, who want to do and learn more about what it takes to be a farmer. To register, or for more information, contact Sidney Morris at 627-7007 ext. 104. December 10, 10:00 am to 4:00 pm, Sassafras Earth Education, Aquinnah. For boys and girls ages 6 to 13 is from 10 a.m. to 4 p.m. Kids spend the day exploring the woods, learning naturalist and survival skills, playing scouting games and more. Cost is $900 for the entire school year (30 Saturdays), $325 for 10 sessions or $50 per day. Bring a lunch. For more information and to register, call 508-645-2008. Saturday, Dec 10, 10:00 am at the Polly Hill Arboretum. Meet at the visitor center and dress for the weather. Walk is a little longer than an hour. Also offered on Jan. 14, Feb. 11, and Mar. 10. For information, call 508-693-9426. Saturday, Dec 10, 4:00 to 5:30 pm at Felix Neck Wildlife Sanctuary. Guided walk to greet the full moon rising over Sengekontacket Pond. Dress for the weather and bring a flashlight. Cost is $4 for members and $8 for nonmembers. For details, call 508-627-4850 or email. Saturday, Dec 17, 10 am to 1 pm at the Ag Hall in West Tisbury. Small and growing, VCS stands tall against powerful forces. Since 1965, VCS has been fighting on behalf of the natural environment, even when the going gets tough. One such battle, the legal defense of the globally rare habitat at Moshup Trail, has been lengthy and financially costly – but well worth it. And with your support, we’ll do it again: VCS will be here, ready to serve, the next time powerful voices threaten to drown out the quieter sounds of nature. 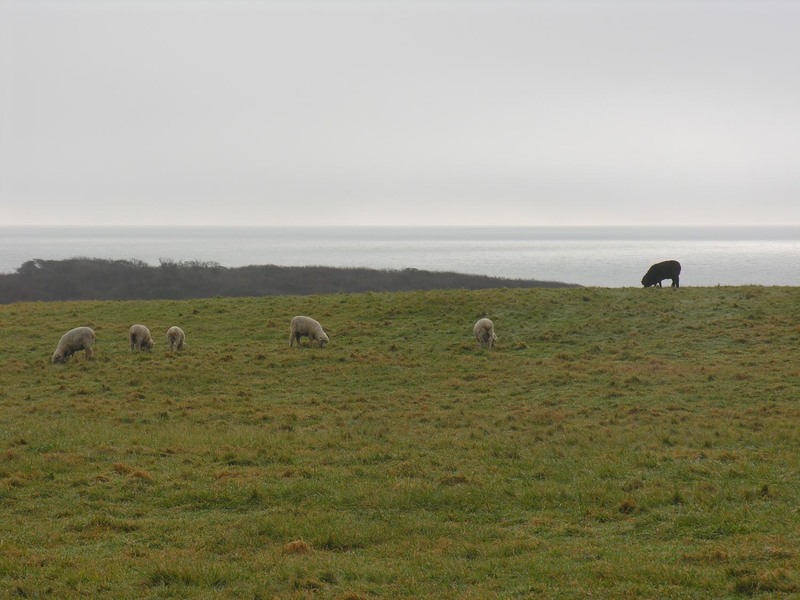 On a chilly, cloudy morning, sheep graze over Chilmark Pond and the Atlantic beyond. 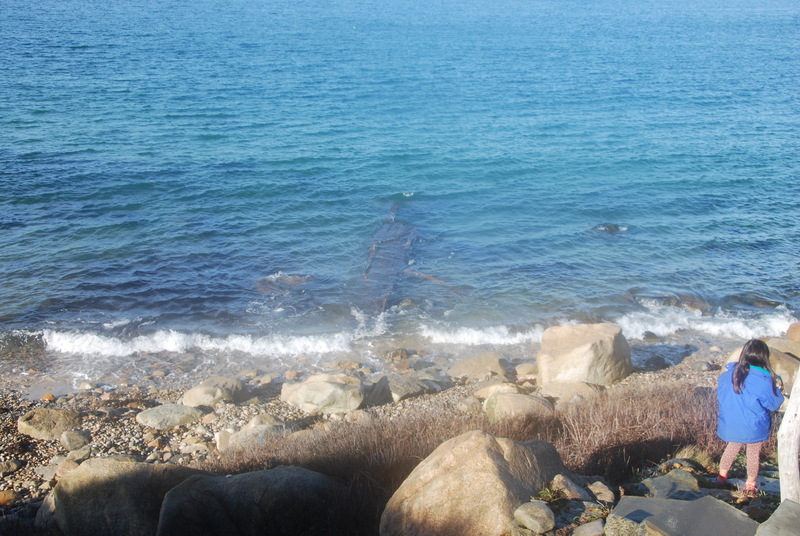 This weekend’s Winter Walk will begin at the Allen Farm in Chilmark. The view from the farm out over the south shore is one of the most spectacular on the island. Recently, the farm has received extra attention due to the addition of a land-based wind turbine (on the north side of the property) that will provide more than enough sustainable energy for the farm. In addition to the farm itself, the walk will explore Chilmark Pond, home to an impressive (or more accurately, imposing) population of the highly invasive marsh reed Phragmites australis, the focus of eradication efforts around the island, including in Chilmark. Allen Farm has seen animal grazing and human habitation for hundreds of years, all under Allen family stewardship; today, owners Clarissa Allen and Mitchell Posin carry on that tradition. Twenty years ago, 22.5 acres of the farm were preserved through an agreement among the owners, VCS, the Town of Chilmark, Mass DPW, and the Land Bank, the largest stakeholder, wherein the development rights were sold at less-than-market-value. In 1995, VCS facilitated an additional gift of a Conservation Restriction (CR) on 5.3 abutting acres. Parking: Look for signs at the Allen Farm entrance, exactly 3 miles from the West Tisbury Congregational Church. There is a mailbox marked 421 South Road on the ocean side of the road. Please check for the signs, because the exact location of parking depends on which farm gates are open at the moment, but there will be plenty! Cider and cookies will be served in the lawn area by the Allen Farm shop. Don't dwell on this image of Arctic sea ice too much while enjoying the beach in October. (But maybe consider carpooling or taking the bus!) Image from NASA. Remember how the warm weather seemed to extend well beyond the line normally separating late summer and early fall this year? 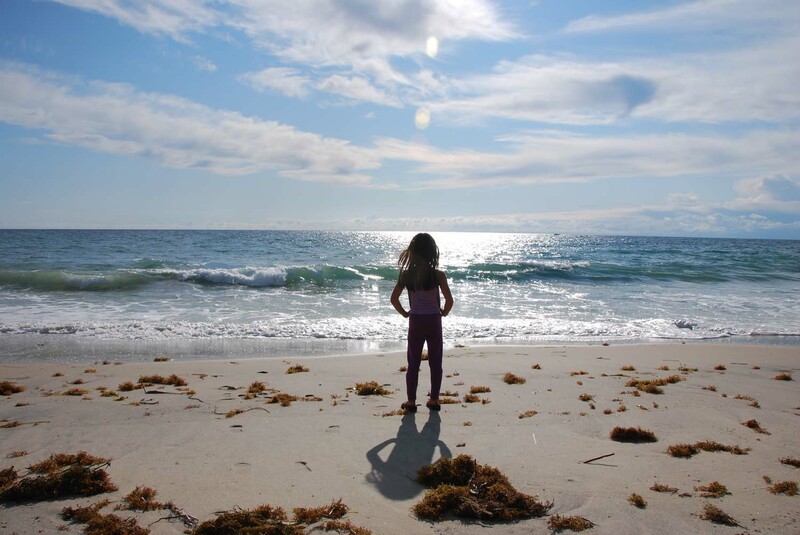 What must surely have been the last beach weekend of the season – one final chance to appreciate the outdoors without fleece or flannel – kept recurring, much to the delight of those who enjoy the decompression of the shoulder season between Labor Day and Columbus Day. Well, it wasn’t an illusion. Combined with mild temperatures through November, this has been one of the warmest falls in recent memory. It was, in fact, the warmest in recorded history at the National Weather Service station in Taunton, MA, and the third warmest ever in Providence and Worcester. And it’s not just our region. According to a recent report by the World Meteorological Organization (highlights in the S.F. Chronicle), 2011 was approximately the 10th warmest on record (their three data sources, NASA, NOAA, and U.K.’s Met Office, ranked 2011 the 9th, 11th, and 11th warmest, respectively). What makes this noteworthy is that it is the warmest year in which the La Niña effect (a large upwelling of cool water in the Pacific that depresses global average temperature) was present. Had its counterpart, El Niño occurred this year, it seems quite possible that this could have been the warmest year in recorded history, surpassing the current record holder . . . last year.